This fully updated new edition of a successful and popular practical guide is an indispensable account of modern in-vitro fertilization practice. Initial chapters cover theoretical aspects of gametogenesis and embryo development at the cellular and molecular level, while the latter half of the book describes the requisites for a successful IVF laboratory and the basic technologies in ART. Advanced techniques, including pre-implantation genetic diagnosis, vitrification and stem-cell technology, are comprehensively covered, providing up-to-date analyses of these groundbreaking technologies. This edition includes: • New practical techniques, including preservation of fertility for cancer patients, stem-cell biology/technology, vitrification and in-vitro maturation • A 'refresher' study review of fundamental principles of cell and molecular biology • The latest information available from animal and human research in reproductive biology Packed with a wealth of practical and scientific detail, this is a must for all IVF practitioners. 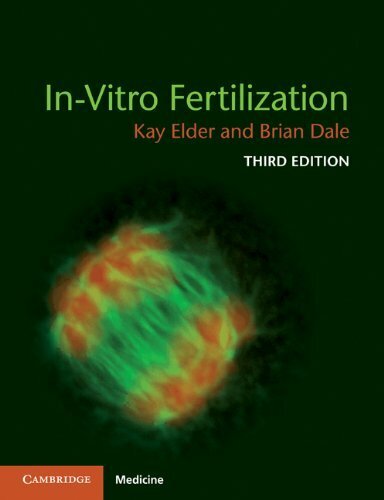 This is an essential handbook on in vitro fertilization and provides an overview of gamete biology combined with a practical account and full description of the advanced technologies and protocols used in the modern fertility laboratory.